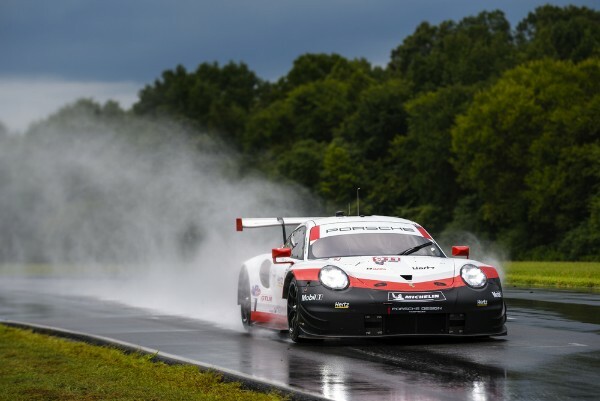 At the Virginia International Raceway, the Porsche GT Team has secured positions two and eight in the GTLM class. In the qualifying for the IMSA SportsCar Championship, the Porsche 911 RSR with the starting number 911 was driven by Patrick Pilet. On a track wet with rain, the Frenchman achieved his fastest time on the last lap. With 1:56.170 minutes, he secured position two in the close session. On Sunday, he joins forces with Nick Tandy (Great Britain) to tackle the race over two hours and 40 minutes. Earl Bamber planted the car with the starting number 912 on P8 with a time of 1:57.874 minutes. 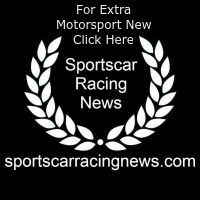 The New Zealander will drive the first stint at round nine of the championship before handing the car to his teammate Laurens Vanthoor (Belgium). Shortly before the qualifying session on the racetrack in the US state of Virginia, the sun shone and temperatures had reached 28 degrees Celsius. However, just before the 15-minute session began at noon, a heavy rain fell. Due to persistent showers, the two 510 hp 911 RSR went out on the 5.263-kilometre circuit on wet tyres. The qualifying for the GTD class, which had taken place a few minutes earlier, had started in dry conditions. Wright Motorsports opted for slicks for the Porsche 911 GT3 R and was only surprised by rain in the final laps. Porsche works driver Patrick Long (USA) claimed the sixth grid spot with a time of 1:44.758 minutes. For the race, he shares driving duties with Porsche Selected Driver Christina Nielsen (DK). Sunday’s race takes off at 13.05 hrs local time (19.05 CEST) and runs over 2:40 hours. Due to the absence of prototypes at this meet, the Porsche 911 RSR in the GTLM class will aim for overall victory.